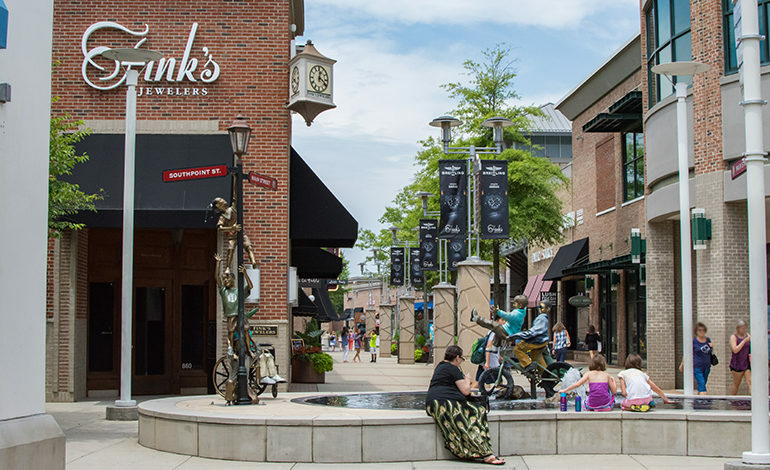 The Streets at Southpoint was designed and developed by Urban Retail Properties with an old-fashioned Main Street concept. The mall is a “hybrid mall”, combining a traditional enclosed mall with an outdoor pedestrian wing and receives over one million visitors per month. McAdams led the master planning, design and approval processes for this highly-publicized project. 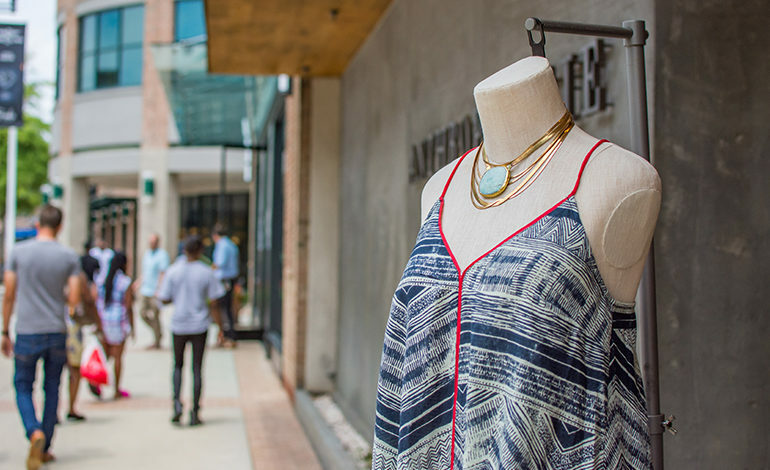 The mall is home to many firsts for the area, including North Carolina’s first Nordstrom and Apple Store. McAdams’ reputation and relationship with the City of Durham were vital in achieving the necessary annexation and subsequently required approvals and variances to make this enormous project a reality. The project included the redesign and reconstruction of two large interchanges on Interstate 40, a 3,500-linear foot City of Durham collector road and design of the 6,400 space parking lot. We provided unparalleled consultation and coordination in the engineering, stormwater design, complex permitting and approval processes, as well as the entire construction process to assure a timely achievement of a certification of occupancy. This all paved the way for a fast-track project, which from concept to opening took less than five years to complete.